Pets – We assume you will consult your veterinarian for the care and feeding of your pet. There are some good true “animal stories” in the Non-Fiction section. Cooking- Our food needs and appetites have changed – especially for seniors. You can, however, find items on the Health and Wellness shelves facing the windows. These cover such subjects as cholesterol, diabetes, arthritis, eating-well cooking and assorted related magazines. PLEASE return these so others may use them. VHS Movies – Do not donate these to our library. Give them to local charities such as Goodwill. 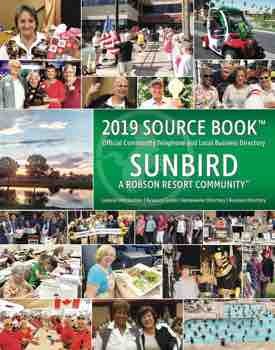 Arts/Crafts – SunBird has many classes and a big variety here. There are lapidary, knitting, pottery, art-painting, woodworking classes, just to name a few. (Consult the activity board for location and time.) Donate any material to the class, NOT the library. Travel – Only the very latest tours/destinations are in the travel basket on the counter. Note: The new War category (facing windows) is shelved by author, not the battle or time. All books here are donated and cover a wide timeline. Please be courteous and return them to us. If you have any questions, call Nancy at 480-802-7144.